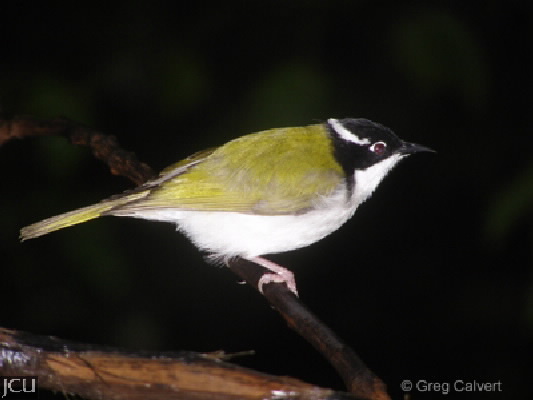 This honeyeater has a dark head with a white nape line prior to the olive green back. It is chiefly found in wooded areas. Underparts are white. Legs and feet pinkish-grey, eyes black with bluish-white skin surrounding, bill black.